The tea plantation Chá Gorreana is beautifully situated on the North coast of the Azorean island São Miguel near the little town of Maia, surrounded by green vulcanic hills and the big blue of the Atlantic ocean, far away from any industrial pollution. 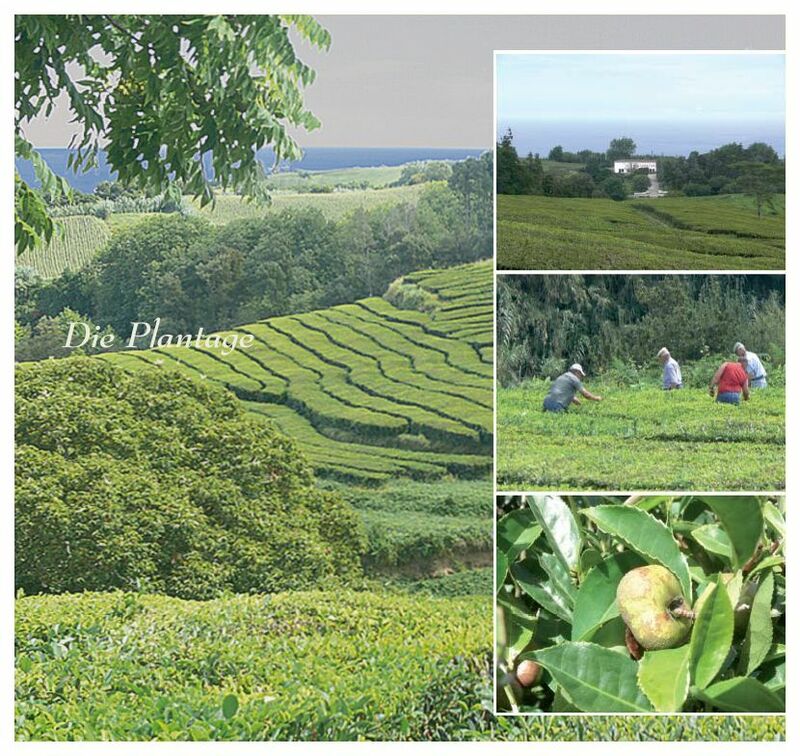 The estate measures approximately 45 hectares; 30 employees produce about 40 tons of tea annually, mainly consumed on the islands themselves and in the Portuguese mainland. Due to the special microclimate in this part of Sao Miguel with its constant high level of humidity throughout the year in combination with fertile vulcanic soil the Chá Gorreana plantation doesn′t have to fight against vermins of any kind. The tea plant – Camellia Sinensis – is grown organically here without any pesticides, herbicides and fungicides being used. During more than 130 years of successful tea growing the plants have adapted themselves to the sometimes rough and salty winds coming off the ocean and don′t need any additional shelter anymore. They are allowed to reproduce themselves the natural way.